Found a nice, easy-to-use simulator for the August solar eclipse. 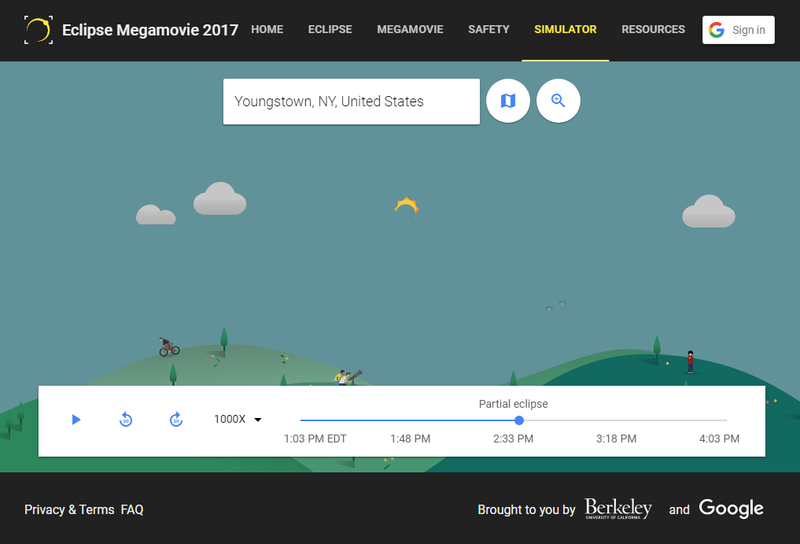 It only works for USA locations but for peeps in Ontario, you can choose a location just on the other side of the Great Lakes and it will give approximate times and mimic the Sun's appearance. From example, Youngstown, NY state works well for Toronto; Madison, OH is good for London and St Thomas. 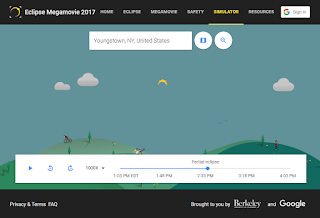 The Eclipse Megamovie 2017 web site for has lots of additional information on eclipses and eye safety.